Jamavar is set over two floors and is designed using inspiration from the Viceroy's house in New Deli, think ancient Indian games, Chaturanga tables that are combined with vibrant colors of Jamavar shawls and dark timber panelling as well as a mirror embellished bar. With a highly talented kitchen team, Jamavar offers dishes that showcase the varied flavours of the north and succulent options from the south. Signature classics include Lobster Neeruli, Sindhi Gosht and Coconut Payasam. Do you work at Jamavar? 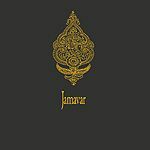 What did you think of Jamavar?